Epidemiologically, glaucoma affects people of all ages in every population in the world, so that an estimated 65 million people worldwide have it. In dividing up glaucoma, there are 5 common entities which comprise the greatest proportion of the affected populations. Each of these is more or less common among certain populations. Each of these is described in more detail below. In addition, there are many other conditions which can lead to glaucoma, some of which are hereditary, and others acquired. POAG has been called the most common "form" of glaucoma. It is a diagnosis of exclusion, in that the diagnosis is made when nothing else is visible, such as pigment, exfoliation, or inflammation, to which to attribute the glaucoma. It is the most common because patients with elevated IOP but no visible damage (glaucoma suspects, ocular hypertension) are included in the category. POAG is most common among persons of African descent, who are affected about 4-5 times as commonly as Caucasians. Myopes are also more commonly affected. Normal-tension glaucoma, until recently called low-tension glaucoma and thought to be rare, is now realized to be quite common. In Japan, it is more common than high-tension glaucoma. Pigment dispersion syndrome (pigmentary glaucoma) is an autosomal dominant condition which may affect about 2.5% of the Caucasian population. It is rare in other populations. This is about 20-30 times as common as previously believed, the reason being that many people with mild involvement never have eye examinations or are not diagnosed. It typically appears in the 20s and 30s, ages not usually thought of as being susceptible to glaucoma. Exfoliation syndrome occurs worldwide and increases in prevalence with age (incidence is the number of new cases appearing in a given amount of time; prevalence is the percentage of cases existing in an examined population). It occurs in about 10% of the population over age 50 and its frequency varies from one population to another. People with exfoliation syndrome have about 6 times the chance of developing glaucoma compared to those who do not. Angle-closure glaucoma also occurs worldwide but is most common in Orientals. The highest rate in the world occurs in Eskimos. Farsighted people are more likely to develop angle-closure. This is really a different category of disease from the other four entities above. The following paragraphs have been taken from Chapter 32, Classification of the Glaucomas, from The Glaucomas, 2d edition, edited by R Ritch, MB Shields, and T Krupin, CV Mosby Co, St Louis, 1996, with permission. One way to think of the glaucomas is in five stages: 1) an initial sequence of events, which cause 2) alterations in the aqueous outflow system, which result in 3) elevated IOP, which leads to 4) atrophy of the optic nerve and 5) progressive loss of the visual field. This scheme, however, implies that elevated IOP is the only contributing factor, which we know is not true. To be complete, we should include IOP-independent causative factors, such as vascular and structural alterations of the optic nerve head, which may also contribute in some cases to the mechanism of glaucomatous optic neuropathy. In normal-tension glaucoma, for example, pressure-independent mechanisms may be the main, if not sole, cause of the optic nerve damage. The fact is, however, that an IOP which is too high for the eye in question is the principal causative factor in the vast majority of the glaucomas. Furthermore, it is the only factor for which we currently have effective treatment measures. For these reasons, we will focus primarily on the pressure-related portion of the five-part pathway as we consider new classifications for the glaucomas. However, as continued studies lead to a better understanding of the pressure-independent mechanisms of glaucomatous optic atrophy, this knowledge will influence not only the classification of the glaucomas, but also our approach to managing many of the conditions. Stage 1 includes the series of events that initiate pathologic alterations in a previously normal aqueous outflow system. Stage 2 begins with the first detectable change in the system, which eventually leads to aqueous outflow obstruction and elevated IOP. These two stages distinguish the various clinical forms of glaucoma and, therefore, provide the most logical basis for classifying the glaucomas. The last three stages represent a more or less common pathway, although variations may be seen within the clinical forms of glaucoma. Stage 3 (elevated IOP) differs somewhat among the glaucomas according to the rate of onset, magnitude, and chronicity of the pressure elevation. These clinical variations in the IOP may influence the variable nature of the of optic neuropathy (Stage 4) and the subsequent visual field loss (Stage 5), although variations in the latter two stages are also most likely a result of the pressure-independent mechanisms of glaucomatous optic atrophy. The fundamental question of how we define glaucoma must be addressed. One school of thought is that the diagnosis should be reserved for those patients with documented visual field and/or optic nerve loss, since all individuals with elevated IOP do not develop damage. If we were to carry this thought to its extremes, what diagnosis would we someday give to a person who has only a defective gene (i.e., Stage 1) that is known to be associated with a certain form of glaucoma? Although we lack the information at the present time to answer that question, it is most likely that, for any glaucoma, only a certain percentage of patients with Stages 1, 2 or 3 will develop glaucomatous optic neuropathy (Stage 4). For each form of glaucoma, therefore, we will have to consider the potential risk for progression from one stage to the next, and the risk/benefit ratio of a specific treatment, before deciding whether to intervene at a particular stage. Possibly the most important of the recent advances in glaucoma research have come in our understanding of the series of events that start the five-stage process toward eventual blindness. These observations provide the potential for early diagnosis and treatment of the initial events before they lead to outflow obstruction. Appropriate treatment at this stage would not only reduce the risk of eventual IOP elevation and subsequent visual loss, but would also spare our patients the side effects and complications that are currently associated with the medical and surgical management of elevated IOP. This treatment concept, has been referred to as "early glaucoma intervention," is already possible for some forms of glaucoma. One example is neovascular glaucoma, in which at least part of the initial series of events (Stage 1) typically include a retinal vascular disorder, decreased oxygen supply to the retina, stimulation of new blood vessel formation, and new blood vessels on the iris. The mechanism of aqueous outflow obstruction (Stage 2) begins with neovascular changes in the anterior chamber angle and progresses through formation of a fibrovascular membrane which obstructs aqueous outflow and eventually contracts to close the angle, causing further outflow obstruction. Another glaucoma in which we are very close to applying the concept of early glaucoma intervention is pigmentary glaucoma. We have learned that the initial events (Stage 1) in this condition include a specific configuration of the anterior ocular segment, posterior bowing of the peripheral iris, and rubbing of iris pigment epithelium against packets of lens zonules with the subsequent release and dispersion of pigment granules. We have also learned that the mechanism (Stage 2) by which these initial events lead to outflow obstruction includes clogging of the intertrabecular spaces with the pigment granules and eventual loss of trabecular endothelial cells with collapse of the trabecular collagen beams. More recently we have learned that a pressure differential between the anterior and posterior chambers is responsible for the posterior iris bowing in many eyes with pigment dispersion and that this can be relieved by a laser iridotomy. Therefore, if we were able to identify patients with the pigment dispersion syndrome before the development of irreversible outflow obstruction, we might be able to prevent IOP elevation with a prophylactic iridotomy. Before this treatment strategy can be recommended, however, we need diagnostic measures to predict which patients with the pigment dispersion syndrome have a sufficient risk of developing IOP elevation to justify the prophylactic iridotomy, and we need long-term trials to prove that the iridotomy will prevent the eventual IOP elevation. The two glaucomas cited above have traditionally been classified as secondary glaucomas. One example of how arbitrary our division of primary and secondary glaucomas has been occurs with the pupillary block form of "primary" angle-closure glaucoma. In this condition we have a reasonable understanding of the initial events (Stage 1) which include a specific configuration of the anterior ocular segment, mid-dilation of the pupil, functional pupillary block, and a pressure differential between the anterior and posterior chambers. The mechanism of outflow obstruction (Stage 2) is also known to involve closure of the anterior chamber angle due to forward bowing of the peripheral iris. In addition we have an excellent treatment in the laser iridotomy. All we lack before the concept of early glaucoma intervention can be applied to this glaucoma is a test that will predict which patients in the high risk population have a high enough chance of developing angle closure to justify a prophylactic iridotomy. These three examples of how the concept of early glaucoma intervention will someday be applied to both "primary and secondary" glaucomas are provided to emphasize the importance of understanding the initial events of all the glaucomas. It follows, therefore, that the ideal classification scheme for the glaucomas should be based on these initial events. At the present time, however, it is not possible to fully develop such a classification, due to our incomplete understanding of the initial events for all the glaucomas. The largest gap in our knowledge has to do with that group of glaucomas that we have called POAG. Despite the fact that more research has been focused on these conditions than any other group of glaucomas, our understanding of both the initial events and the mechanisms of aqueous outflow obstruction remains remarkably limited. We are beginning, however, to see glimpses of what the future may hold through continued research in cellular and molecular biology, and some day we will have an understanding of genetic defects for many of the glaucomas. This knowledge will not only provide a means of early diagnosis of the initial events, but also a rationale for treatment before these events lead to outflow obstruction. Gene linkage studies are progressing at a rapid pace. We have already obtained significant information regarding the genetic defects in autosomal dominant juvenile open-angle glaucoma, primary congenital glaucoma, pigment dispersion syndrome, Axenfeld-Rieger syndrome some rare diseases which cause glaucoma in infants and children. As knowledge of the initial events becomes available for an ever increasing number of the glaucomas, we may eventually be able to develop a complete classification scheme, based on these initial events. Until continued research provides the answers to these gaps in our knowledge, however, we can only partially. In figure 5 (3?) (right), glaucoma represents the state of optic nerve damage, whether mild or extensive. Increased IOP is merely a proximate step leading to the damage. But that elevated IOP is caused by dysfunction of the trabecular meshwork, which in turn has specific causes (X, Y, Z) representing different diseases which act by specific mechanisms. For example, X could be autosomal dominant juvenile open-angle glaucoma (JOAG), for which the gene has recently been identified as producing a protein which affects the "stickiness" of the fluid pathways in the trabecular meshwork. Y could be pigment dispersion syndrome, in which the iris rubs against the zonules which hold the lens in place, causing disruption of the pigmented cells in the back of the iris and releasing pigment which clogs the trabecular meshwork. C could represent uveitis, in which inflammation gradually kills off the cells of the trabecular meshwork. It is easy to see that waiting until damage has occurred to start treating IOP is like locking the barn door after 3/4 of the horse is out. The only approach to glaucoma has been to lower IOP. Common sense suggests that if we can treat PRIOR to elevation of IOP, we can prevent the damage to the meshwork which causes the elevated IOP which causes the damage (sort of like "The House That Jack Built". Nevertheless, relatively little attention has been paid to preventing elevated IOP. At the present time, we can't replace the gene or modulate TIGR protein activity for JOAG, but that will come. We can't replace the gene for pigment dispersion, but we can prevent pupillary movement, leading to reversal of the disease. Increasing discoveries regarding inflammation and the immune system will lead to improved treatments of uveitis. What is important now is to try to prevent the development of glaucoma in newer ways than just lowering IOP. By definition, glaucoma developing between ages 4 and 10 are called late congenital glaucoma, or developmental glaucoma. Primary open-angle glaucoma, because thought rare in younger patients, was considered a disease affecting people from age 35 on. Thus, POAG developing the span between ages 10 and 35 came to be termed, by convention, juvenile primary open-angle glaucoma. About 35% of people with this disease are high myopes (very nearsighted), and 85% total are nearsighted. Juvenile POAG is strongly hereditary and often autosomal dominant, meaning that only a single copy of the gene from one parent can cause disease, so that 50% of the offspring of an affected parent are affected. The first glaucoma gene characterized, in 1996, was one responsible for autosomal dominant juvenile POAG, and since that time, numerous mutations in this gene have been found in several large families with hereditary glaucoma. This gene produces a "sticky" protein, TIGR, or myocilin, which makes the trabecular meshwork less permeable to aqueous humor leaving the eye. Its concentration may increase in susceptible individuals when they are treated with steroids. Mutations in this gene are also responsible for about 3% of POAG in older age groups. Several other genes on other chromosomes are under active investigation for their ability to cause either juvenile or adult-onset POAG or both. This is the most "common" glaucoma affecting Caucasians and persons of African ancestry. Its incidence increases with age. POAG has no symptoms - IOP slowly rises and the disease often goes undetected - for which reason it has been termed the "sneak thief of sight". It is painless and the patient often does not realize that he or she is slowly losing vision until the later stages of the disease. However, by the time the vision is impaired, the damage is irreversible. The term "primary open-angle glaucoma" is a misnomer. It implies that there is a single disease with a specific abnormality causing the disease (an abnormality which has yet to be discovered). In actuality, a patient is diagnosed as having POAG when we can't see anything on slit-lamp examination which would lead to its being called something else. In other words, it is a diagnosis of exclusion (in medical terms, a "wastebasket" diagnosis is a group of disorders which we have not figured out how to identify and separate). A better term would be "idiopathic" open-angle glaucoma, indicating that we don't know what causes it. However, the term POAG has been in use for so long, we will continue to use it here for now. In POAG, there is no visible abnormality of the trabecular meshwork. It is believed that something is wrong with the ability of the cells in the trabecular meshwork to carry out their normal function, or there may be fewer cells present, as a natural result of aging. POAG is a chronic disease which is presently incurable. However, it can be slowed or arrested by treatment. Since there are no symptoms, many patients find it difficult to understand why lifelong treatment with expensive drugs is necessary, especially when these drugs are often bothersome to take and have a variety of side effects. Normal-tension glaucoma has been defined as open-angle glaucoma in a person in whom the IOP never goes above 22 mmHg. For a long time, this was thought to be a rare disease. It is now being realized that the number of persons with normal-tension glaucoma has been vastly underestimated. In Japan, for instance, twice as many people have normal-tension glaucoma as high-tension glaucoma. Paramount in the clinical evaluation of individuals with normal-tension glaucoma is a careful history with attention to the presence of a family history of glaucoma, vasospastic symptoms such as Raynaud's phenomenon or migraine headache, or history of hypotension or significant blood loss. The chronicity and pattern of visual loss (e.g., darkening or blurring of acuity) is critical. Patients with non-glaucomatous cupping may report a history of ocular trauma, ocular pain (particularly associated with eye movements) or prior episodes of visual loss, concurrent neurologic symptoms (such as headache or cranial arteritis symptomatology), or history of syphilis. In addition, it is important to inquire about a history of prior corticosteroid use which may suggest previous intraocular pressure elevation. The terms high-tension and normal-tension glaucoma are misleading. The problem has resulted from artificial definitions, such as 22 mmHg as a cutoff. There is no real cutoff point. People can have a pressure component to their damage and they can have non-pressure-dependent mechanisms of damage. The proportion of sensitivity to each may vary from individual to individual. Both IOP and other mechanisms of damage are "risk factors" for glaucomatous damage. The higher the IOP, the greater the risk of pressure-induced damage. The worse the vascular supply to the optic nerve, the greater the risk of damage on this basis. When more than one risk factor is present, they are presumably additive. People with no other risk factors and a pressure of 25 mmHg may never develop damage. People with IOP of 25 mmHg and several other risk factors may be easily susceptible to damage. There is no hard and fast rule. Pigment dispersion syndrome (PDS) is a hereditary condition (autosomal dominant - so that 50% of children and siblings and one parent have the disease) affecting primarily Caucasians (95%). We have seen it in patients from as far east as India and as far south as Ethiopia. The prevalence of PDS has been greatly underestimated and it is often not diagnosed on eye examination because of a low index of suspicion. The gene may be present in over 2% of the Caucasian population. Not everyone with the gene appears to develop the syndrome. It is most common in myopes (nearsighted persons) and quite rare in hyperopes (farsighted persons). About 10% of people carrying the gene develop glaucoma, which usually develops between ages 20 and 40. Pigmentary glaucoma is the most common glaucoma in persons under age 40. The more nearsighted one is, the earlier the glaucoma develops. For unknown reasons, men develop glaucoma 2-3 times as often as women (perhaps a protective effect of progesterone?). It most often begins in the 20s and 30s, which makes it particularly threatening to a lifetime of normal vision. Because most people with PDS are younger, they don't get checked for glaucoma routinely, and it is all too common for the diagnosis to be made after one eye has become blind or lost significant vision. Younger people with glaucoma may complain of blurred vision and worsening vision and still not have their pressures checked or visual fields performed because they are told they are too young to have glaucoma. The anatomy of the eye plays a key role in the development of pigmentary glaucoma. The normal iris is flat, like a frisbee. In PDS, the iris drops downward before angling centrally, so that it looks like a pie pan. This causes the pigment layer of the iris to rub against the zonules when the pupil constricts and dilates during focusing. This rubbing action ruptures the cells of the iris pigment epithelium, releasing pigment particles into the aqueous humor. The pigment is deposited throughout the anterior segment, including the trabecular meshwork, which becomes densely clogged with pigment, visible on examination. Sudden pigment release at the time of pupillary dilation or after bouncing-type exercise, such as jogging or basketball, may produce sudden and marked rises in IOP by overloading the trabecular meshwork. Exercise-induced pigment liberation may be prevented by pretreatment with pilocarpine. Pigment release tapers off after age 40. We think this is due to the development of relative pupillary block secondary to gradual lens enlargement, eliminating the contact between the iris and the zonules, and also to presbyopia. The ideal primary treatment for pigmentary glaucoma would be not to just lower IOP, but to eliminate contact between the iris and zonules, preventing further pigment release. Miotic (cholinergic) drugs, such as pilocarpine, produce both pupillary constriction and an increase in aqueous outflow and should be in principle the drug of choice with which to initiate therapy. However, their side effects are most prominent in younger patients, who are the ones who have pigmentary glaucoma. These include accommodative spasm, induced myopia, and difficulty with functioning both in work-related situations and activities such as sports and driving, particularly at night. Fortunately, a slow-release form, pilocarpine Ocuserts, are well tolerated by younger individuals. We have had great success with pilocarpine Ocuserts in patients with pigmentary glaucoma. They immobilize the pupil without causing extreme miosis. In most cases, the pupil is about 3 mm in diameter, allowing more normal functioning. The IOP-lowering effect is irregular on the 6th and 7th days, and we have patients change them every 5 days. Unless patients are already taking 4% pilocarpine, we initiate treatment with P-20 Ocuserts (2% equivalent) and suggest that the patient begin it in one eye only for 2 weeks until getting used to it and becoming comfortable. Patients are shown an instructional video and then further instructed on insertion and removal by a technician. They are also told to expect to have it fall out during sleep or in the shower for a while, but that eventually it will remain in place. With this encouragement, acceptance and success have been high. Because of the association of retinal detachment with PDS (about 6-7% lifetime chance), a thorough peripheral retinal evaluation should be performed before starting treatment with miotics. Lattice degeneration, a peripheral retinal thinning, which predisposes to retinal detachment, is more common in patients with PDS than in normals with similar refractive errors. The success of laser iridotomy in eliminating contact between the iris and zonules offers new possibilities, both in treatment and in our understanding of the mechanism. In pigment dispersion syndrome, the area of contact between the iris and lens is greater than normal, so that the iris drapes over the lens, preventing aqueous humor from equilibrating between the posterior and anterior chambers. Aqueous humor produced in the posterior chamber flows normally to the anterior chamber, but cannot flow back, resulting in a higher pressure in the anterior chamber than in the posterior chamber, and pushing the iris against the zonules. This has been termed "reverse pupillary block", to distinguish it from the analogous situation, pupillary block, which occurs in angle-closure glaucoma. Iridotomy creates an additional pathway, just as in angle-closure glaucoma, allowing for aqueous equilibration and flattening the contour of the iris. Who should undergo laser iridotomy? Ostensibly, by preventing pigment liberation from the iris, the trabecular meshwork would have time to clear itself of pigment already deposited and reduce or eliminate further deposition. Therefore, patients should still be in the pigment liberation stage, which is suggested by the liberation of visible pigment into the anterior chamber after dilation of the pupil with special eye drops. Patients who have uncontrolled glaucoma and are facing surgery are also poor candidates for laser iridotomy, since perhaps years are required to achieve functional reconstitution of the trabecular meshwork. We have restricted iridotomy to patients under age 45 who have elevated IOP with no damage or early glaucomatous damage. Clinical trials are needed to determine whether Ocuserts or iridotomy can normalize IOP in eyes with glaucomatous damage, prevent glaucomatous damage in eyes with elevated IOP, and prevent elevated IOP in normotensive eyes. Since perhaps as few as 10% of people with PDS go on to develop glaucoma, and since laser iridotomy itself destroys iris cells and releases a large amount of pigment and debris, which can further compromise the trabecular meshwork, we do not presently advocate treating eyes of people with PDS and normal IOPs. Exfoliation syndrome (XFS) is the most common identifiable cause of open-angle glaucoma worldwide. It was first described in Finland in 1917 by Lindberg, who noted white deposits of material on the pupillary border in 50% of patients with chronic glaucoma. For the next 30 years, little attention was paid to this disorder and, until recently, most American ophthalmologists regarded it as an uncommon cause of glaucoma found primarily in persons of Scandinavian descent. However, it is common in virtually every country in the world. Exfoliation syndrome can lead to both open-angle glaucoma and angle-closure glaucoma, often producing both in the same individual. Although there are definite differences in prevalence due to racial or ethnic variations, the most important factor is that it has been extraordinarily underdiagnosed. Many cases are never detected because of failure to dilate the pupil or to examine the lens with the slit lamp after dilation and because of a low index of suspicion on the part of the examiner. Even more important is the ability of the examiner to recognize earlier and more subtle stages of the syndrome. Recent advances make it much more important to make a correct diagnosis. Rather than being just a disorder affecting the eye, XFS has been shown to be a systemic one. Differences from primary open-angle glaucoma in the approach and response to various treatments are beginning to be recognized. The prevalence (percentage of the population having a characteristic or disorder) of XFS increases with increasing age. It is uncommon before age 50 and increases steadily thereafter. Women more frequently have XFS than men, although men appear more likely to develop glaucoma. There is no clear tendency to inheritance, and although families have been described with more than one affected member, XFS is so common that it is difficult to draw any conclusions. The prevalence of XFS in glaucoma patients is much higher than in age-matched persons without glaucoma. For example, some reported rates in open-angle glaucoma include 16% in Japan, 34% in India, 47% in Turkey, 57% in Iceland, 47% in Finland, and 58% in Ireland. The frequency is lower, for unknown reasons, in England, Germany, Denmark, and the United States. In the United States, it is much more common in Caucasians than in African-Americans. In about two-thirds of patients, XFS is initially detectable in only one eye, while the other 1/3 have it bilaterally. The second eye has a steadily increasing chance of developing XFS in the future, but may never do so, although the reasons for this remain unknown. As a rule of thumb, unilateral or markedly asymmetric glaucoma in older patients with no other obvious cause of glaucoma warrants a careful search for exfoliation. Glaucoma is about 6 times as common in eyes with XFS than in those without it and is a high-pressure disease. About 6-10% of patients with XFS have glaucoma and some 15-20% more have elevated intraocular pressure (IOP) without detectable glaucomatous optic nerve or visual field damage (glaucoma suspects). Glaucoma in XFS has a poorer prognosis than primary open-angle glaucoma and a more severe clinical course. The average pressure IOP is higher and optic nerve and visual field damage are more severe at the time of presentation and progress more rapidly. Exfoliative glaucoma responds less well to medical therapy and treatment failure occurs more commonly. Surgery is required more often. The most characteristic feature of XFS is the presence of grayish-white material layered on the anterior lens surface (Figure 1). Three distinct zones may be present: a translucent central disc, a peripheral granular zone, which may consist of more than one layer (Figure 2), and a clear zone separating these two areas. On slit-lamp examination, exfoliation material resembles tiny flakes of dandruff deposited on the surface of the lens and can sometimes appear to be peeling off the lens surface. Next to the lens, exfoliation material is most commonly seen on the pupillary margin (Figure 3). In unilateral cases, the pupillary ruff in the involved eye is fragmented or even absent compared to that in the uninvolved eye. Clumps of exfoliation material may also be seen on the endothelial surface of the cornea and in the angle. After cataract extraction, exfoliation material has been found on the vitreous face and fibrils, the posterior capsule, and on intraocular lenses, providing evidence that the presence of the lens is not necessary for its continued formation. Clinically the conjunctiva is normal. Fluorescein angiography reveals loss of the regular limbal vascular pattern and areas of neovascularization in advanced cases, as well as congestion of the anterior ciliary vessels. Iris angiography reveals a reduced number of vessels, lack of the normal radial pattern, microneovascularization, and generalized hypoperfusion. This appears to be a result rather than a cause of XFS. Early in the course of the disease, exfoliation material is deposited evenly over the lens surface. 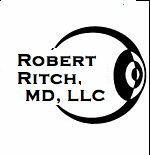 The intermediate clear zone is created by rubbing of the iris over the surface of the lens during normal physiologic movement (dilation and constriction) of the pupil, similar to the action of a snowplow. Simultaneously, the exfoliation material on the lens surface acts like sandpaper, rupturing pigment-filled cells on the back of the iris (iris pigment epithelium) and liberating the pigment into the anterior chamber (Figure 4). Both pigment and exfoliation material clog the trabecular meshwork, leading to elevated IOP, sometimes to very high levels. The trabecular meshwork is often densely pigmented (Figure 5). Pigment loss from the iris pigment epithelium and its deposition on anterior chamber structures is a prominent sign in XFS.8 Pigment dispersion may precede the clinical appearance of exfoliation material on slit-lamp examination and appears to be important in the pathophysiology of the development of glaucoma. Pigment dispersion in the anterior chamber is common after pupillary dilation. Marked rises in IOP are common patients with medically controlled pressures may spike to 40-50 mmHg or even greater. It is extremely important to measure IOP in any glaucoma patient after dilation, particularly those with XFS, and to treat accordingly. Unrecognized IOP spikes may possibly produce further glaucomatous damage, particularly in patients who already have moderate or severe damage. Pigment may be deposited on the corneal endothelium and, occasionally, may appear as a Krukenberg spindle. Transillumination defects occur at the pupillary margin, in contrast to the midstromal slit-like defects found in pigmentary glaucoma (Figure 7). Particulate pigment deposition on the sphincter and, less commonly, on the peripheral iris, are characteristic signs. Increased trabecular pigmentation is a prominent sign and is seen in virtually all patients with clinically evident disease. It may be an early diagnostic finding before the appearance of exfoliation material on the pupillary margin or anterior lens capsule. In unilateral cases, the pigment is usually greater in the involved eye. Pigment deposition on Schwalbe's line is a characteristic finding, as is wavy pigment on the peripheral cornea anterior to Schwalbe's line (Sampaolesi line). The degree of pigmentation may play a role in the high pressures encountered in some cases, but the extent of pigmentation and the severity of the glaucoma do not always correlate. Only rarely is low-tension glaucoma associated with the presence of exfoliation. Although most patients have open angles, narrow angles and angle-closure glaucoma are common and XFS is common in eyes presenting with angle-closure glaucoma.5, 9, 18 Factors predisposing to pupillary block include posterior synechiae, anterior lens movement secondary to zonular weakness or dialysis, or increased iris thickness or rigidity. Electron microscopy of exfoliation material reveals characteristic cross-banded fibrils and filamentous subunits associated with an amorphous ground substance (Figure 8). The 30 nm in diameter fibrils form an irregular meshwork within a loose fibrogranular matrix containing 6-10 nm microfibrils. It was formerly suggested that the material is an amyloid or amyloid-like. The exfoliation fibril is a proteoglycosaminoglycan consisting of a protein core surrounded by polysaccharide side chains. Immunocytochemical staining is positive for a number of basement membrane components, including sulfated glycosaminoglycans. Lectin staining suggests a complex carbohydrate composition. There are histochemical and antigenic similarities between zonular elastic microfibrils and exfoliation material. Streeten and associates found typical fibrils of exfoliation material in close proximity to oxytalan fibers, leading them to suggest that XFS might be a form of elastosis.15 Oxytalan is present in the body in areas of mechanical stress. In the eye, accommodation involves the equatorial lens capsule, the zonules, and the ciliary epithelium. Exfoliation material is produced by the equatorial lens epithelium, iris pigment epithelium, and non-pigmented ciliary epithelium. It is found within epithelial cells in association with abnormal basement membrane. The lens capsule itself appears normal, although it may contain amorphous material. The material on the lens surface is thought to result partially from deposition and partially from material produced by the lens epithelium. Exfoliation material is found in the conjunctiva of eyes both with XFS and in fellow eyes without clinical evidence of disease. A diagnosis can be made by conjunctival biopsy prior to the appearance of exfoliation material on the anterior lens surface.7 Patients with no clinical evidence of exfoliation material on the lens surface or pupillary border in either eye, but who have the characteristic pigment dispersion signs have been termed exfoliation suspects. In the trabecular meshwork, exfoliation material is present on and between the trabecular beams, beneath the trabecular cells, and beneath the endothelium of both inner and outer walls of Schlemm's canal (Figure 9). Extensive deposits may be present in the meshwork of normotensive eyes. It is unclear whether it is merely deposited on the angle structures and later phagocytosed, or produced in the meshwork itself. Glaucoma in eyes with XFS may result from blockage of the meshwork by exfoliation material and/or pigment liberated from the iris, dysfunction of trabecular cells, or concomitant primary open-angle glaucoma. The concept of trabecular blockage fits well with the results of topical steroid testing and with the finding that in asymmetric cases, the meshwork in the affected eye is often the more pigmented one. The existence of exfoliation material outside the eye has long been suspected, but only recently has it been discovered how extensive it actually is. In 1979, Eagle et al1 found exfoliation material in the wall of a short posterior ciliary artery. It was later found in walls of vortex veins, extraocular muscles, and optic nerve sheaths, and in skin biopsies. In 1992, exfoliation material was found in widespread areas at autopsy, including lung, heart, liver, kidney, and cerebral meninges.13, 16 Whether disease occurs in any of these itssues remains to be determined. The most important entity in the differential diagnosis is the pigment dispersion syndrome, which characteristically occurs in younger myopes. The trabecular pigment band is usually darker and more evenly textured, the iris insertion is posterior, there is usually a homogeneous Krukenberg spindle, and the iris transillumination defects are midperipheral and slit-like in contrast to those found in XFS. True exfoliation of the lens capsule is rare and is seen in those with exposure to high temperatures, such as glassblowers, is associated with cataract, and is rarely associated with glaucoma. The deposit from the heat-induced cataract is rolled up in a characteristic thin sheet, in contrast to the frosty appearance of exfoliation material. Primary familial amyloidosis can mimic XFS, but is rare and associated with other systemic findings.2, 4, 6, 17 Iritis with increased trabecular pigmentation and posterior synechiae can be differentiated by the lack of exfoliation material on the anterior lens capsule. The initial approach to treatment of open-angle glaucoma associated with XFS includes aqueous suppressants and miotics. Exfoliative glaucoma is more resistant to medical therapy than POAG. Miotics may lead to development of posterior synechiae. Therefore miotic use should be accompanied by frequent dilation. However, dilation may also result in acute rises in IOP accompanied by diffuse pigment dispersion in the anterior chamber. It is theoretically logical that miotics could be the drug of choice in exfoliative glaucoma. Aqueous suppressants decrease aqueous flow through the meshwork, which could be reduce clearing of pigment, and could decrease the volume of the posterior chamber, perhaps increasing the degree of iridolenticular contact and the amount of pigment rubbed off the iris. In addition to increasing aqueous outflow, miotics may help prevent progression of the disease by reducing pupillary movement. Argon laser trabeculoplasty is initially highly successful, producing a greater average drop in IOP in eyes with XFS than in eyes with POAG. However, sudden late rises in IOP may occur after a year or more of good control, presumably due to continued liberation of iris pigment. Continued use of miotics after ALT may theoretically prevent this. Retreatment may be successful in some eyes. There do not appear to be any unusual complications of trabeculectomy in exfoliative glaucoma. Complications of extracapsular cataract surgery, however, are significantly more common and include insufficient mydriasis, capsular rupture, zonular dialysis, lens dislocation, and vitreous loss. Late IOL decentration may be more common in eyes with XFS, and it has been suggested that sulcus fixation be used in these eyes in preference to intracapsular fixation. Angle-closure glaucoma affects nearly half a million people in the United States. In China and surrounding countries, it is more common than open-angle glaucoma. There is a tendency for this disease to be inherited. It is more common in hyperopes (far-sighted people). Within the category of angle-closure, the terminology is inconsistently used. Some use "angle-closure," others "closed-angle," and still others "narrow angle." The latter is particularly misleading, since it can describe a patient with POAG and narrow angles or one with actual angle-closure. In people with a tendency to angle-closure glaucoma, the anterior chamber is smaller than average. As mentioned earlier, the trabecular meshwork is situated in the angle formed where the cornea and the iris meet. In most people, this angle is about 45 degrees. The narrower the angle, the closer the iris is to the trabecular meshwork. As we age, the lens routinely grows larger. The ability of aqueous humor to pass between the iris and lens on its way to the anterior chamber becomes decreased, causing fluid pressure to build up behind the iris, further narrowing the angle. If the pressure becomes sufficiently high, the iris is forced against the trabecular meshwork, blocking drainage, similar to putting a stopper over the drain of a sink. When this space becomes completely blocked, an angle-closure glaucoma attack (acute glaucoma) results. Unlike POAG, in which IOP increases slowly, in acute angle-closure, it increases suddenly. This sudden rise in pressure can occur within a matter of hours and become very painful. If the pressure rises high enough, the pain may become so intense that it can cause nausea and vomiting. The eye becomes red, the cornea swells and clouds, and the patient may see haloes around lights and experience blurred vision. If the attack goes untreated, scarring of the trabecular meshwork may occur and result in permanent glaucoma, which is much more difficult to control. Cataracts may also develop. Damage to the optic nerve may occur quickly and cause permanently impaired vision. Many of these sudden "attacks" occur in darkened rooms, such as movie theaters, which cause the pupil to dilate. Acute stress is another predisposing condition. When the pupil dilates, the contact between the lens and the iris is maximized. This further narrows the angle and may trigger an attack. A variety of drugs can also cause dilation of the pupil and lead to an attack of glaucoma. These include anti-depressants, cold medications, antihistamines, and some medications to treat nausea. Acute glaucoma attacks are not always full blown. Sometimes a patient may have a series of minor attacks. A slight blurring of vision and haloes (rainbow-colored rings around lights) may be experienced, but without pain or redness. These attacks may end when the patient enters a well lit room or goes to sleep-two situations which naturally cause the pupil to constrict, thereby allowing the angle to open spontaneously..
An acute attack is an emergency condition. If the pressure is not relieved within a few hours, vision can be permanently lost. An acute attack may be stopped with a combination of drops which constrict the pupil, and drugs that help reduce aqueous production. When IOP has dropped to a safe level, laser iridotomy is the treatment of choice. This is an outpatient procedure in which a laser beam is used to make a small opening in the iris, allowing aqueous to pass directly from the posterior chamber to the anterior chamber. Since it is common for the other eye also to have a narrow angle, laser iridotomy on the unaffected eye is done as a preventative measure. Routine examination using a technique called gonioscopy can predict one's chances of developing angle-closure. A special lens which contains a mirror is placed lightly on the front of the eye and the width of the angle examined visually. Patients with narrow angles can be warned of early symptoms, so that they can seek immediate treatment. Not all people with angle-closure experience an acute attack. Many develop what is called chronic angle-closure glaucoma. In this case, the iris gradually closes over the drain, causing no overt symptoms. When this occurs, scars slowly form between the iris and the drain and the IOP will not rise until there is a significant amount of scar tissue formed-enough to cover the drainage area. If the patient is treated with medication, such as pilocarpine, an acute attack may be prevented, but the chronic form of the disease may still develop. The number of younger people with glaucoma has been vastly underestimated in the past. In fact, it was more common than not a generation ago not to bother checking IOP in people under the age of 35 because it was thought glaucoma was exceedingly rare in this age group. We know now that it is not, and we know that glaucomatous damage ordinarily takes a long time to develop. Someone with symptomatic damage detected at age 45 might have had elevated IOP for 20 years. Glaucoma does increase in frequency with age. Those glaucoma's that increase iln frequency with age are primarily POAG, exfoliation syndrome, non-pressure-dependent mechanisms of damage, and angle-closure. Pigmentary glaucoma, as mentioned, develops in the 20s and 30s. Juvenile open-angle glaucoma, often hereditary, is probably second in frequency to pigmentary glaucoma. Glaucoma in childhood (under age 18) is much less common and is often associated with specific syndromes. We will describe the more common of these here. Congenital, or infantile, glaucoma, occurs in about 1 in 10,000 births. It is defined as glaucoma appearing between birth and ages 3 to 4. Up to this age, the eye wall is distensible, so that the eye can noticeably and progressively enlarge when IOP is elevated. It may occur without other findings (primary congenital glaucoma), associated with other syndromes, or after injury, congenital cataract extraction, or inflammation. Primary congenital glaucoma is due to failure of development or abnormal development of the trabecular meshwork. Most cases of primary congenital glaucoma are sporadic in occurrence. In the approximately 10% in which a hereditary pattern is evident, it is believed to be usually autosomal recessive. Congenital glaucoma is usually detected by the parents when the eye is noted to enlarge or the cornea becomes hazy. When the cornea stretches, breaks occur in the inner corneal lining, or endothelium, which pumps water out of the cornea to maintain its transparency. When breaks occur, aqueous humor enters the cornea, causing it to swell, a hazy, frosted glass appearance. The baby is sensitive to light and tearing may be present. As the cornea stretches, ruptures allow more aqueous into the corneal stroma and epithelium, causing a sudden increase in edema and haze and an increase of tearing and avoidance of bright light. The infant may become irritable to the point of burying its head in a pillow to avoid lights. Treatment is surgical and often successful, although more than one operation may be necessary. Goniotomy and trabeculotomy are operations designed to incise the trabecular meshwork to help it to function. If these are unsuccessful, then filtering surgery as performed in adults becomes necessary. The prognosis is worse if the glaucoma is present at birth. Advances in our understanding of the genetics of glaucoma are progressing at a rapid pace. There are at least 3 different chromosomes which can contain abnormal genes causing congenital glaucoma. The one best characterized to date is a gene on chromosome 2 which codes for a protein called cytochrome P4501B1, one of a series of enzymes involved in oxygen metabolism (mono-oxygenases). Sturge-Weber syndrome is relatively common and everyone has known someone at one time or another with a port-wine stain on the face. When the port-wine stain affects the forehead and upper lid, glaucoma occurs about 2/3 of the time. It can occur at birth or infancy, but more commonly develops between ages 9 and 16. For some reason, this has not been well known, and many children are only detected after they have suffered severe damage. Sturge-Weber Syndrome is a common cause of blindness from glaucoma in childhood. Most of this blindness could be prevented through timely diagnosis and appropriate treatment. Ocular manifestations of Sturge-Weber syndrome occur in infancy and early childhood. The hallmark of the condition is a facial birthmark (port wine stain), which is unilateral in 90% of affected children, and involves the region of distribution of the first and second divisions of the trigeminal (fifth) nerve. The first division corresponds to the forehead and upper eyelid. The second division corresponds to the cheek and lower eyelid. The third division corresponds to the jaw. Vascular malformations may affect the eyelids, sclera, conjunctiva, and iris. When the upper lid is involved, the eye is also usually involved. The iris may appear darker than that in the opposite eye. Vascular malformations of the choroid, the spongy vascular tissue which lies between the retina and the sclera, in about 40% of affected eyes. They are easily overlooked in younger patients and grows slowly. One third of patients with Sturge-Weber syndrome have increased IOP. This is characteristically on the same side as the vascular malformation, although glaucoma can sometimes occur bilaterally. Glaucoma can occur at various stages in life, but most commonly occurs in infancy and childhood. Glaucoma may be present at birth or develop in the first few years of life. This is called congenital glaucoma. Congenital glaucoma results from developmental abnormalities that result in malfunction of the tissue which drains fluid from the eye. It is usually detected by the parents. The most characteristic signs of congenital glaucoma are enlargement of the eye, a hazy cornea, tearing, and photophobia (the baby tries to hide its head from bright light). All babies with Sturge-Weber syndrome should have IOP measured in infancy and, if normal, once a year thereafter. After the age of three or four, the eye wall becomes thicker and does not enlarge when the IOP rises, and it is necessary to measure IOP in order to determine the presence or absence of glaucoma. The development of glaucoma during childhood and adolescence is also common. These children usually have a vascular malformation of the sclera, which causes elevated pressure in the veins which drain the eye. This, in turn, causes IOP to rise, with subsequent damage to the drainage system of the eye. Medical treatment (eye drops) may control this type of glaucoma. If medical treatment fails, surgical intervention becomes necessary. Laser treatment for the glaucoma is ineffective. With early diagnosis, and appropriate treatment geared to the type of glaucoma and the findings from examination of the eye, the glaucoma can often be controlled and vision preserved. Aniridia is a hereditary condition uniformly associated with iris abnormalities. This development condition is rare, occurring in approximately 1 in 50,000 live births. Typically, the iris appears as a small rudimentary stump associated with a large pupil. Aniridia may be associated with congenital glaucoma, but glaucoma most commonly develops in childhood or adolescence. Other abnormalities include cataract, failure of the macula (the area of the retina responsible for sharp central vision) to develop, nystagmus (uncontrolled movements of the eyeball), and corneal vascularization. Three genetic types of aniridia have been recognized. About 85% of patients have isolated, autosomal dominant aniridia (not associated with other systemic manifestations). About 13% have autosomal dominant aniridia associated with Wilms' tumor, genitourinary anomalies, and mental retardation (WAGR), while 2% have autosomal recessive aniridia associated with cerebellar ataxia and mental retardation. The aniridia gene, now called the PAX6 gene, has been established as the only genetic locus for aniridia and is located on chromosome number 11. Treatment of congenital glaucoma is the same as for primary congenital glaucoma. Long-term treatment of childhood glaucoma is difficult, complicated, and often frustrating, but is constantly improving. Uveitis is a nonspecific term referring to inflammation of the choroid, ciliary body, and or iris. It may be due to local, systemic, exogenous or endogenous causes. Although some forms of uveitis may be classified into clinical entities, most are nonspecific and can be broadly described as being only anterior or posterior, granulomatous or nongranulomatous. Anterior uveitis is also termed iritis or iridocyclitis. Glaucoma is a frequent complication of uveitis. IOP may be low in eyes with anterior uveitis because of a decrease in aqueous humor formation ("secretory hypotony"). However, uveitis may also lead to acute or chronic, open-angle or angle-closure glaucoma. Elevated IOP may be caused by active inflammation, insufficient antiinflammatory therapy, excessive corticosteroid use, or insufficient glaucoma therapy. The chronic and recurrent nature of the inflammation may lead to death of the trabecular cells which control the exit of aqueous humor, and which do not replenish themselves. Medical treatment of glaucoma associated with active uveitis is directed toward controlling inflammation and preventing its damaging effects on outflow pathways, as well as controlling IOP. Dilating the pupil and decreasing the inflammation help to minimize damage and scarring of intraocular tissues and visual loss. If medical therapy fails, surgery may become necessary. When angle-closure occurs, laser iridotomy is indicated. Argon laser trabeculoplasty is contraindicated in open-angle glaucoma associated with uveitis because it fails in virtually all cases, causes increased inflammation, and destroys a certain percentage of the remaining viable trabecular cells. Filtration surgery in eyes with uveitis has a lower success rate and higher complication rate than in eyes without uveitis.